UNITED Self Help Group does works on labour contract for garment making. The group has been in existence for over 5 years. Rajalakshmi, heads the group. She has been associated since the very beginning. She started work in the enterprise at Helper level. Today, she works as assistant production manager and manages not just United but 4 SHGs production. She joined Industree in 2001 as helper in Natural Fibre Unit. She had no prior experience but was always eager to learn. Soon she learnt how to stitch and was transferred to Garment Unit. She was also an apt administrator and had people skills, hence gradually she got promoted to a co-ordinator post. 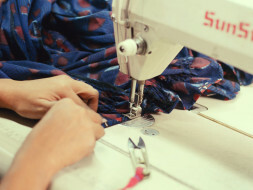 As her income grew, she was no longer dependent on her husband. She has now moved from a rented house to a leased house. She plans to build her own house in Bangalore. She has been able to admit her child in private school. 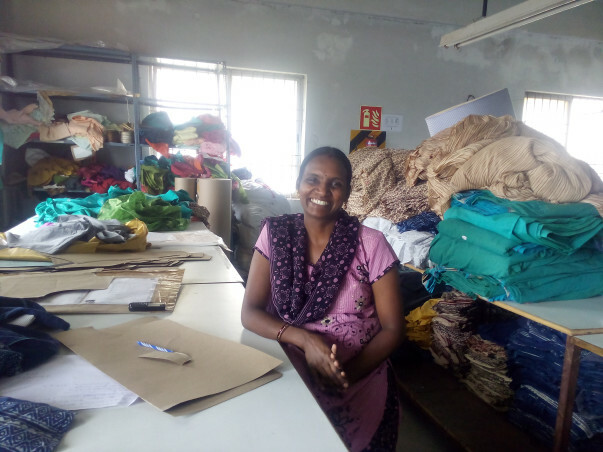 Rajalakshmi, through her training in supervision, was exposed to lean management techniques, 5S and SQDCM. She also witnessed the increase in productivity of the units which have undergone this training through Industree Skills Transform. She needs loan of 2 Lakhs for group training on Lean Management Systems and 3 Lakhs to buy sewing machines. Rajalaksmi, Wish you all the best as an entrepreneur.